It’s time for another Makeup Wars! It’s no secret I love the color purple. 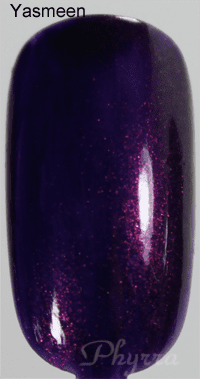 This time we’re talking about our favorite purple polish. I’ve got my favorite purple polishes for you today. I’m sure you’ll recognize some, but others may be new to you. 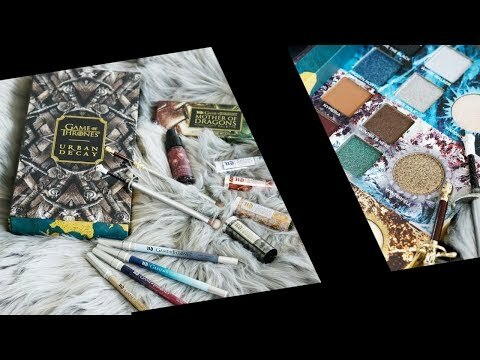 You can check out other Makeup Wars here. You may have seen me mention some of these purples in my Fall 2013 Color Story, along with antique golds, deep teal blues, and greys. 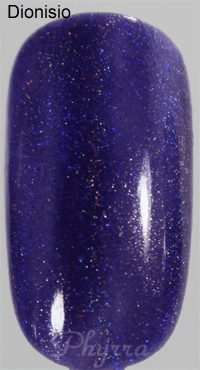 Cult Nails Flushed – a true “Blurple” (blue/purple) buildable sheer with an intense purple/pink shimmer effect that appears to glow through the polish. 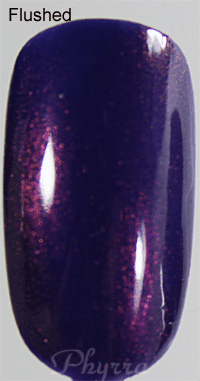 This is a polish that is beautiful on its own, or layered on top of black, blue, purple or pinks. 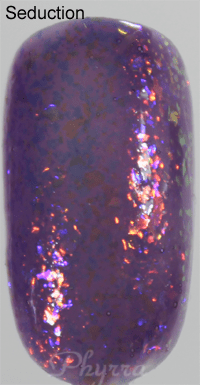 Cult Nails Seduction – a sheer purple base with red and blue flakes that offer a slight flash of color shift to gold at certain angles. This one is gorgeous on top of purples, blacks, burgundy, blues, etc. I love this purple! The pink shimmer is the icing on the cake. The microshimmer in this polish is beautiful. This is such a beautiful, bright purple shade. It’s perfect for a tape mani with black polish. I love this color. I know people have said they felt it was similar to Baptiste, but it’s got more of a red base. I really like the formula, too. I can’t wait for UD to put out more polish! 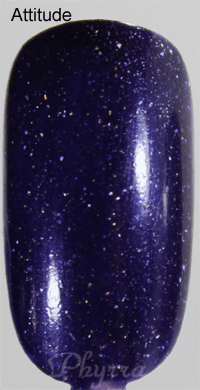 piCture pOlish Attitude – perfectly purple subtle scattered holo. This is lovely. I love scattered holo effects. They seem to give you the most vibrant shades with holo and shimmer. I feel like sometimes linear holo effects make it so the shades aren’t as rich. This is my absolute favorite finish for polish right now. 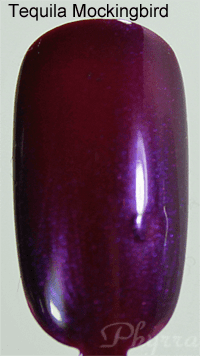 This is a beautiful polish and looks great on its own or layered. This has been my second favorite finish lately. Jelly + holographic glitters. It’s beautiful! You may wonder what this shade is doing here. I consider it a lavender purple duochrome with sea undertones, pink shimmer, and micro glitter. It started my lust for scattered holos. It’s awesome when layered on top of deeper purples for nail art. This is one of the richest linear holos that I’ve seen and it’s a beautiful shade. 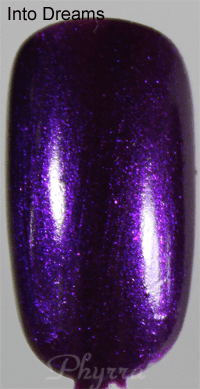 Hits Olympia Dionisio – Grape purple linear holographic. Of all of the polishes here, this is the only one that I’m unsure if it is cruelty-free. I purchased this before I went CF on my blog, and I know it has been reformulated (I have the old version) since I purchased it to make it Big 3 free. It’s a beautiful deep blue-based purple. I love the foil / sparkling finish on this polish! I pretty much loved this whole collection but Mimi and Charla were my favorites. This is sort of a deeper version of Flushed. I think this was my first Zoya polish and I still find it stunning. This one is gorgeous and the pictures don’t do it justice. It’s a jelly finish with gorgeous glitters. This is another one that the pictures aren’t doing it justice. It’s so pretty. I love the fuchsia / purple shift. It also smells like grape candy. I desperately wish that I’d had some sunlight because these pictures don’t really do these polishes justice. They’re gorgeous! See what the rest of the Makeup Wars bloggers have chosen for their favorite purple polishes! They are all my favourites! I could also look at purple polishes every day! My favorite purple polish? Yes. I could look at purple polishes all day long! Excellent post, Phyrra! I’d be afraid to do a post like this, because I don’t really want to find out how many purple polishes I actually own. I’m dying at Baptiste..that is flat-out gorgeous! 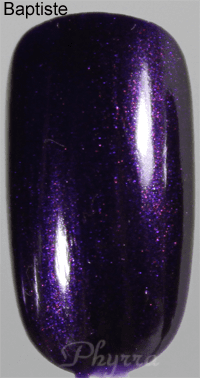 My next favorite is the Zoya Yasmeen–want both of those! Nice collection! Wow, gorgeous! I love Tequila Mockingbird. And I so desperately need MOAR polish. ahem. Speaking of purple, I splurged on a mani/pedi today and got OPI Suzi & the 7 Dusseldorfs. The soak-off gel is slightly lighter, more transparent, & less sparkly than the regular formula, which I got on my toes. It’s lovely, but isn’t the thrilling PURPLE of the regular polish. I haven’t tried any of the ones you list, so I plan to nab a few while in splurge mode. I need to get my hands on Cult Nails Flushed! Wow! So many choices! They all look amazing . So many pretty purples! This makeup wars has convinced me I need more purple polishes. I need Poke in my life now. Such a pretty purple! What a fabulous post. You have me absolutely drooling. I’d like every one of them. I have a few already but obviously not enough of your choices. I like Flushed and Poke! That’s just way to many to choose from. Great choices!! I really need to pick up some piCture pOlish… they look so amazing! blushingnoir Yes you do! I love their scattered holo polishes – Hope, Ocean, and Attitude. Why do you torture me so? I have Knackered & I love it. It’s gorgeous layered over olive green (odd, but it’s beautiful.) Now I need like ALL of these!!! Hipstermama Like butter LONDON Wallace? Cult Nails Seduction is amazing! I’ve never seen it before but I wish I had it! geniabeme Seduction is amazing. It was my first lemming ever, and I’m so happy i got it. OMG! You’re killin me here! I now have eleventy million new shades to add to my shopping list!! !